Meet the newest addition to Ocean County’s fleet of pumpout boats: The Pollution Solution. The boat, the seventh in the fleet, was named by seventh grade science students at Lavallette Elementary School. 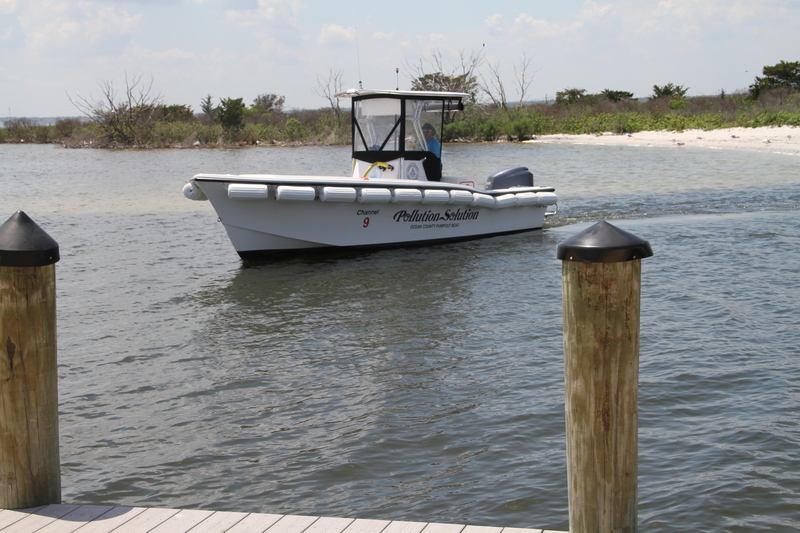 The pumpout boats patrol Barnegat Bay and can hook up to private boats so they can cleanly empty their waste tanks. The free service prevents boaters from emptying the tanks directly into the bay, as had been a practice in years past. The pumpout boats can be accessed by contacting the captains on VHF Radio Channel 9. 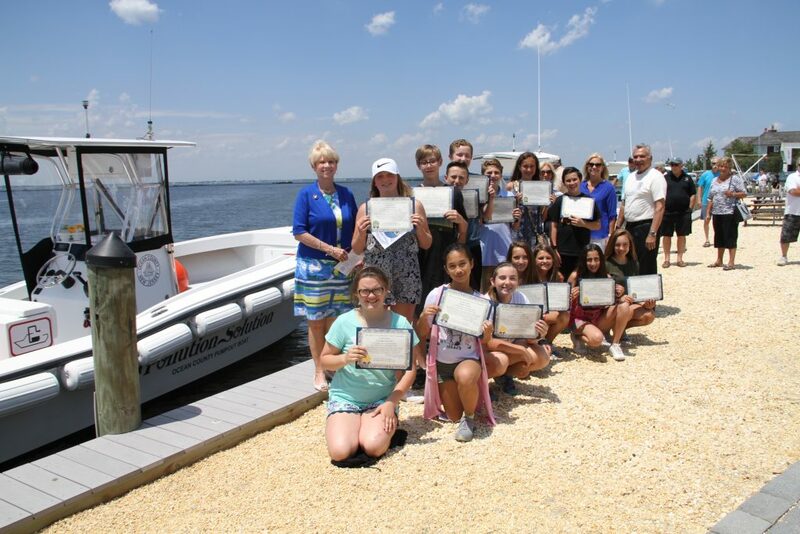 The seven boats were all purchased by Ocean County with the costs being reimbursed through the Clean Vessel Act Grant and the NJ Shore-to-Please license plate program. Municipalities on the waterfront keep and maintain the boats through grant funding. The county’s newest freeholder, Virginia Haines, has a special connection to the program – when she was a member of the state General Assembly, she sponsored the legislation that created the Shore to Please license plate, which raised money to help get the program started. Since the program began in 1997, more than 65,000 recreational boats have used the free service and more than 1.3 million gallons of effluent have been disposed of properly. The new boat will be operated by Seaside Park and will be working in the area of the central Barnegat Bay. Seaside Park also operates the first pumpout boat in the state, the Circle of Life, as well as the Waste Warrior. The Pollution Solution, named by the students with the help of their teacher, Jill Lorenz, is a 23-foot boat with a 420 gallon holding tank. The boats operate Memorial Day weekend through October each year, including major holidays like July 4, and have steadily expanded their operations. For more information on the pumpout boat program visit the Ocean County Planning Department’s website at www.planning.co.ocean.nj.us/coastal.htm.